We caught up with four students at the recent Studia fair at Messukeskus, to find out why they chose Metropolia, and what their experience has been so far. Ben had been studying Public Health and Education in Sydney but decided to come back to his home country in order to “take advantage of the free, world-class education system”. He knew he wanted to continue training as a nurse to further his knowledge in Human Health. On why he chose to study at Metropolia, Ben said “I’d heard such good things about it… it’s very multicultural and I like the fact that it provides a very hands-on learning experience”. As a Nursing student, Ben undertakes a 3-6 week work placement in a local hospital every semester, where he’s expected to put his theoretical knowledge to the test. He describes his most recent placement, working in the operation room of Helsinki Surgical Hospital on breast cancer surgeries as “the best six weeks of my entire schooling career… it really felt like I was making a difference every day”. He describes the teachers as the best aspect of Metropolia, stating that “no matter what you need, they’ll go above and beyond to help you”. Elizabeth had previously enjoyed a career working in the metal industry in Peru, before making Finland her home four years ago. Her time in Finland taught her more about sustainability within the energy sector, which inspired her to take a change in direction with her career. “I have a daughter, I want to leave a better world for her” is how Elizabeth responded when asked why she chose this degree. The programme allows students to make links with titans of Finnish industry, to find out how they’re working to make the world a more sustainable place. She says her experience so far has “totally opened my mind… it has helped me realise what I really want to do”. She hopes to launch her own career in helping companies find sustainable solutions, and believes this degree programme gives her the insight she needs to make that happen. She says that juggling family life alongside a demanding course can be “challenging”, but that she’s had all the support she could ask for from the flexible and understanding staff. “I’m really happy actually. I couldn’t be happier. This is the perfect programme for me”. Scott never planned to start a career in international business but believes Metropolia has helped him find the right path. After several years spent travelling the world and working part-time, he was persuaded by some friends at the university to consider applying. “My friends marketed this course to me really well. They said if you don’t know exactly what you want to do with your life, this place can point you in the right direction”. Now three years into the course, Scott says he’s never looked back. “It kind of feels like going to the gym. When you’re doing all the work it can feel brutal, but when you’re done you feel amazing once you see what you’ve achieved”. Scott has recently got back from his exchange placement at Sun Yat-Sen University in Guangzhou, China, one of the top universities in the country. “I would never have gone to China, but now that I have, I know that’s where I see my future”. Scott describes the strong international element as one of the best aspects of the course; “you learn from a New Yorker about marketing, a Californian about finance, communications from a British lady – it’s a global learning experience”. Scott will be embarking on a work placement in Kenya next spring, after which he wants to work abroad in marketing as part of a large corporation. “This course builds your teamwork and group thinking skills – it makes you a collaborator”. Sofia wasn’t entirely sure where she wanted to study, only that she wanted to study business and one day “become a leader of something”. When she’s not learning the ins and outs of the European business landscape, Sofia is working on real-world projects with classmates in order to build her skills and experience. “Just this week we launched a pitching competition event for students. It has been totally crazy… being able to build an event from scratch”. Sofia will be going on her exchange as part of the programme next year, where she’ll either study in the UK or Germany. After that, she can choose to do a work placement anywhere in the world. “This degree programme can take you anywhere in the world – that’s what I love about it”. The joint application for Metropolia University of Applied Sciences opens 9 January and closes 23 January. International degree programmes are taught in English. Tuition is free for EU/EEA nationals, while non-EU/EEA nationals are subject to annual tuition fees. 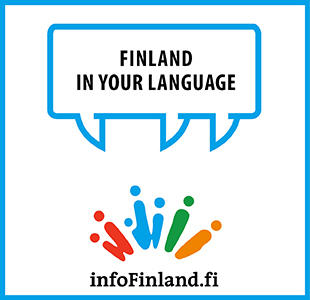 A scholarship for non-EU/EEA student can be granted based on a Finnish language level test completed during the academic year. See the full range of degree programmes here.